FRESH Cut artificial grass for gardens is specially developed to look and feel just like the real thing. With a lush 35mm pile height FRESH Cut artificial grass has a more luxurious fuller feel with a softer underfooting. FRESH Cut artificial grass has a fuller look and feel for those who want the effect of a freshly mowed lawn. 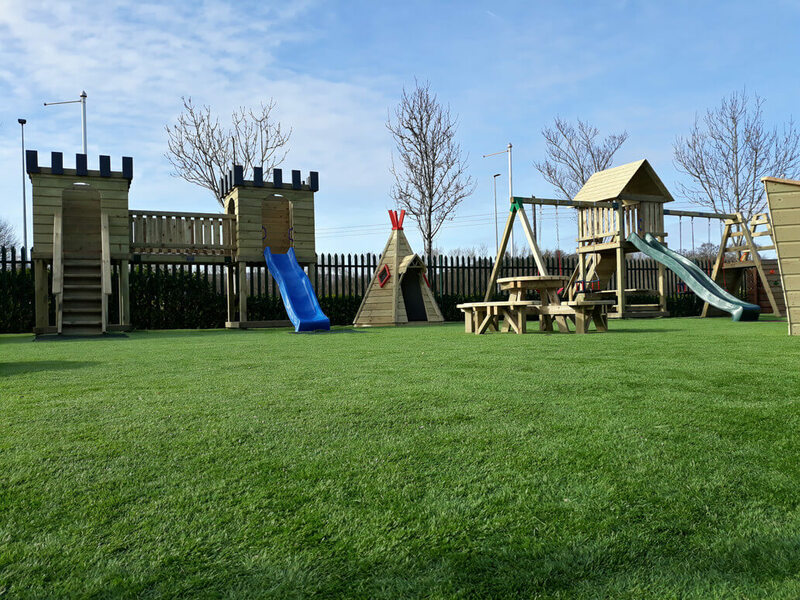 With a 35mm pile height, this artificial grass is extremely durable and is ideal for gardens, play areas and corporate spaces. Click here to view the spec sheet for our FRESH Cut artificial grass. Our FRESH Cut is €30 per m2 including VAT for artificial grass only. For a quote for artificial grass including installation contact us directly. LoCall: 1890 917 006 | Email: hello@PSTlawns.ie. Alternatively, get in touch HERE. PST Lawns will donate €1 for every m2 of artificial grass that we sell to Barretstown Children’s Charity.